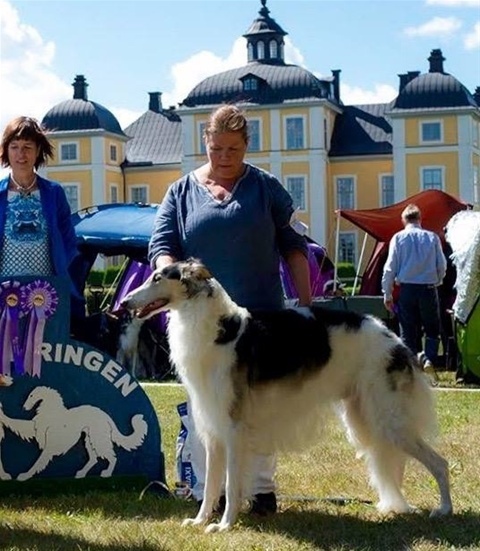 Proud owner: Borghild Birkenes, Askøy. Ch Kazar Ural went BOB at The Norwegian Sighthound Club in Drammen under Ingela Kyrklund, S.
29.08.16 Trondheim Dog Festival, Day 1. Multi CH Kazar Ural BOB (not shown in finals today). 28.08.16 T.D.F. Day 2. M.CH Kazar Ural BOB and Group-2 under Svein Helgesen and T. Griffin. 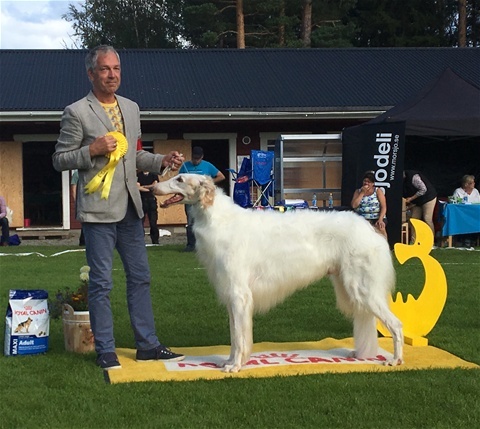 07.07.16 Svenstavik, Sweden: M.Ch Kazar Ural went BOB and Group-3 under judge Britt Schøne Brodwall. 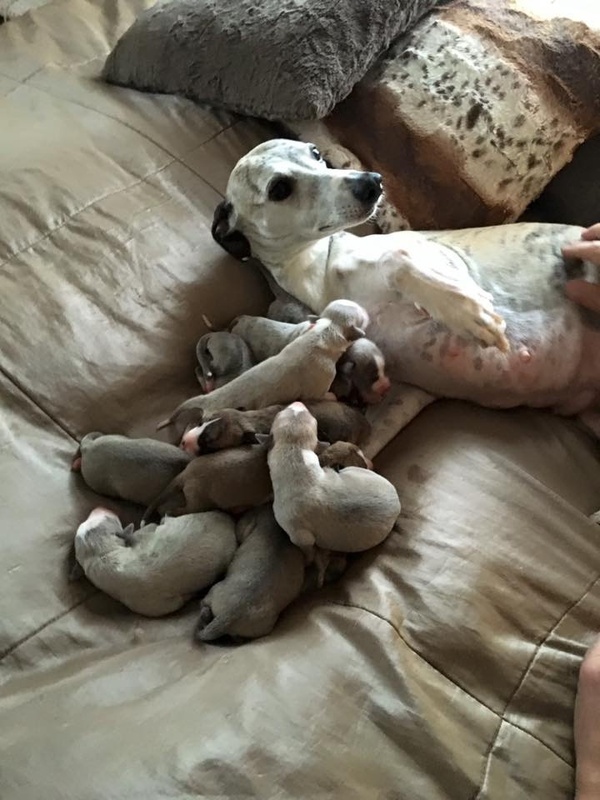 Laura´s pregnancy is confirmed and puppies are due around August 26th! 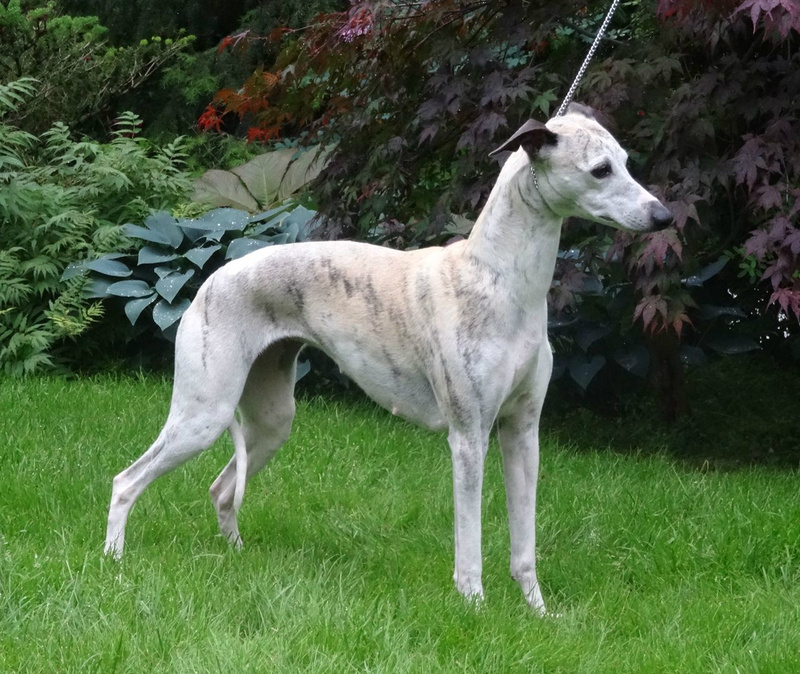 Enquieries from loving homes are welcome. More info at "Planned litters" and "Our Whippet". Contact info at the "Welcome page"
30/31.07.16 Young Pimms (Kazar Wahid) had a great weekend at "The Skokloster Summer Show" in Strømsholm, Sweden. From junior class, just 13 mths old, he went BM-4 with res. 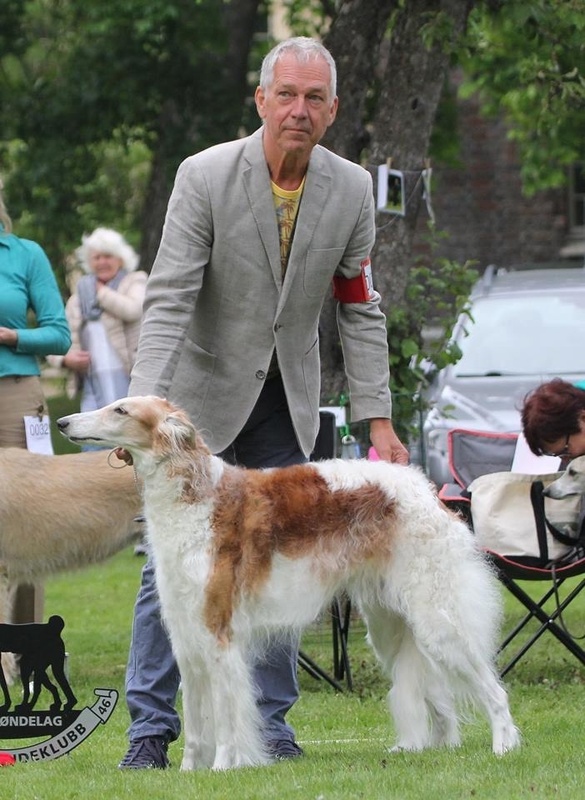 CAC on Saturday under Brett Hamilton and BM-2 on Sunday at The Special under Helena Arh. 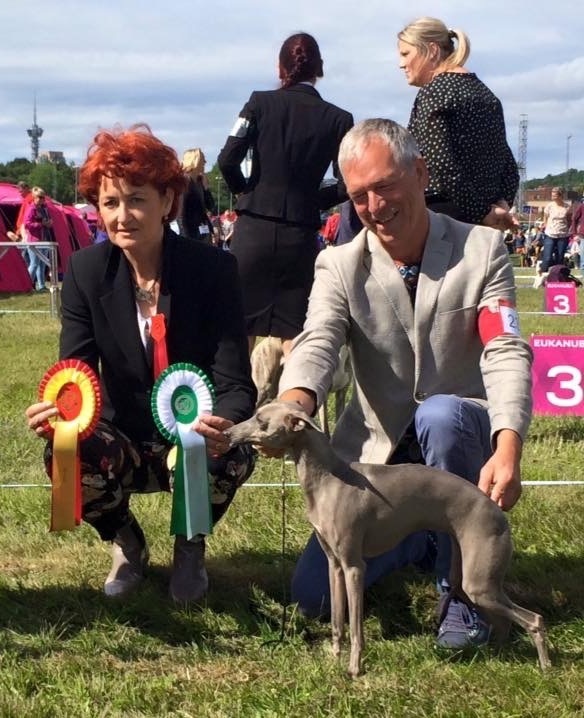 03.07.16 At The NKC Show in Trondheim, we showed our young Italian greyhound Maud (Dogcastle's Aurora). Beating champions, she went BOS with CAC under judge Sanda Terzic. 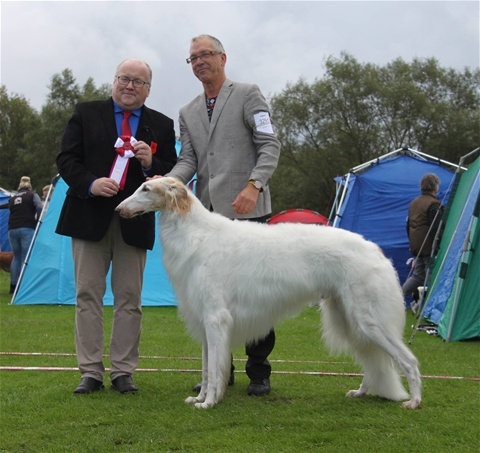 02.07.16 Kazar Qasida was BOB veteran and Bestin Show-3 veteran today at The Norwegian Sighthound Club show in Trondheim. 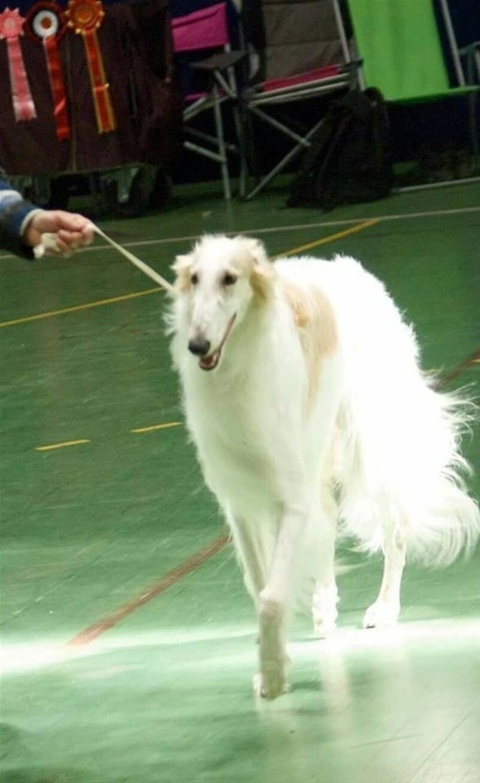 Sæta is 12 years. 02.07.16 So proud of our Ali! Today, at The Norwegian Sighthound Club in Trondheim, Norway, he went all the way to BEST IN SHOW! 19.06.16.The Swedish Sighthound Club, Umeå; Kazar Wahid: BOS, CAC. 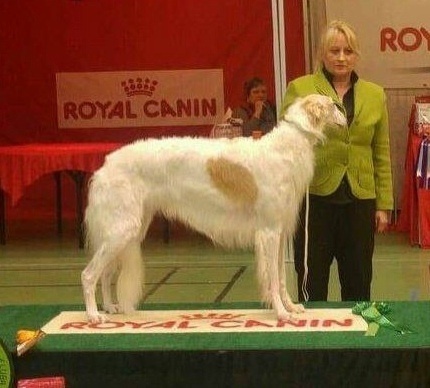 Judge: Beatrix Maerki. 18.06.16. 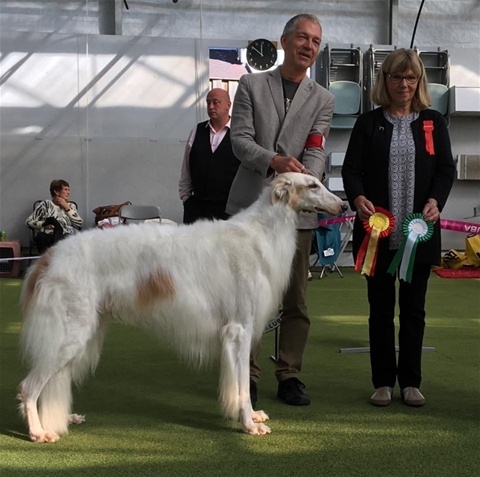 The Swedish Kennel Club, Umeå; Kazar Wahid: BM-2, CAC. Judge: Robero Posa. 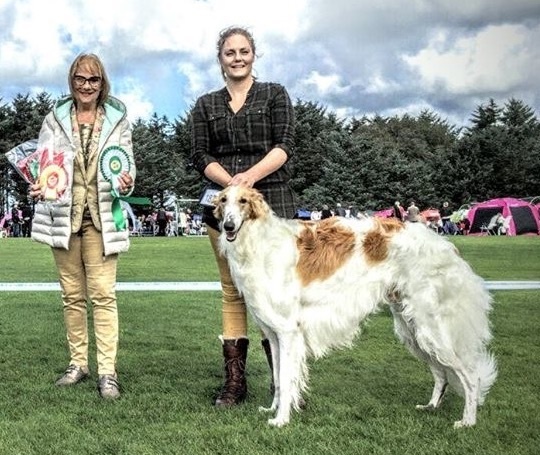 Pimms is owned by Lena Hamel. Best of Breed and Best of Group !!! 16.04.16 Kazar Wafai went BOB with CAC from juniorclass at the NKC international show in Bergen, N. Judge: Jochen Eberhardt. 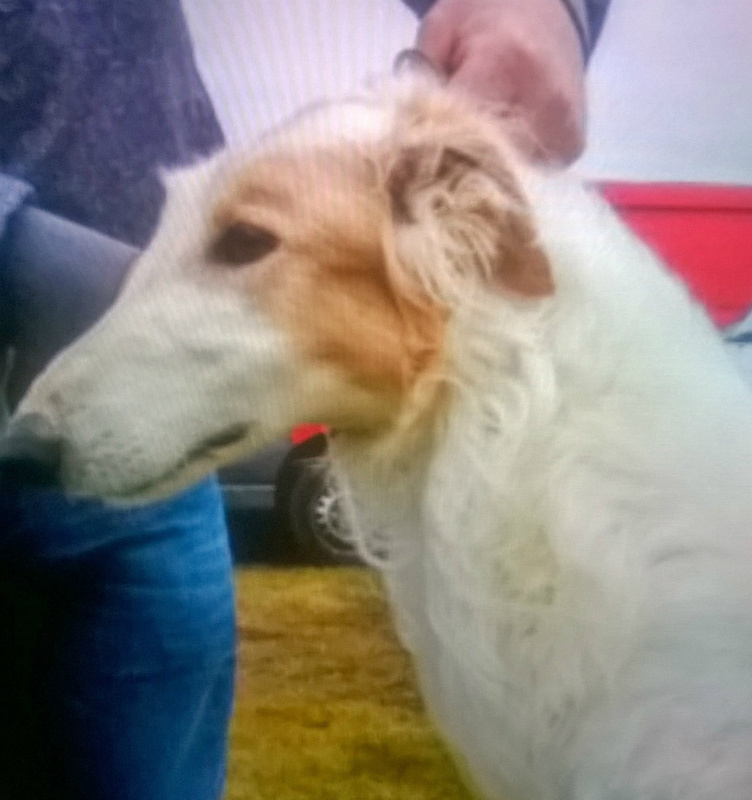 Owner: Borghild Birkenes. 26.03.16 Great news from Ireland! 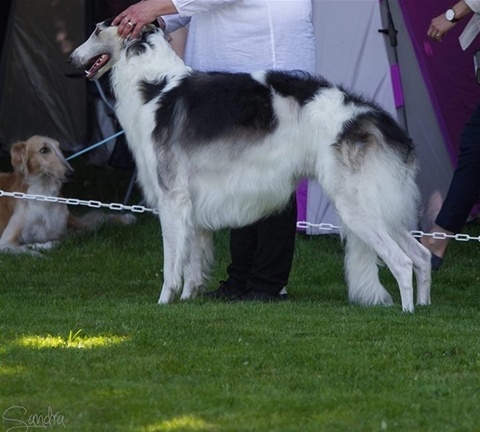 Kazar Utkin took another CAC and CACIB + BOB and BOG-3 at an Int Show under judge T. Rohlin. 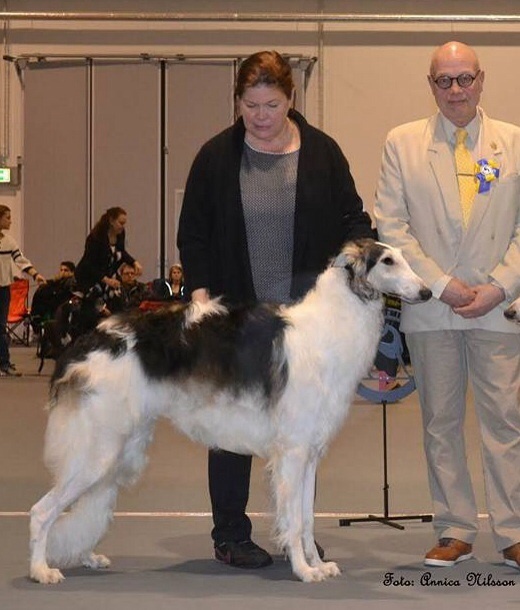 20.03.16 Kazar Wahid, owner Lena Hamel, Sweden, made his debut in juniorclass under sighthound specialist Ray Lindholm at a Swedish sighthound show. He won BM-2 with CAC and went all the way to BEST IN SHOW Junior in a very heavy competition! 19.03.16 Kazar Wafai made his debut as junior at Nordhordland HK under Kitty Sjong. 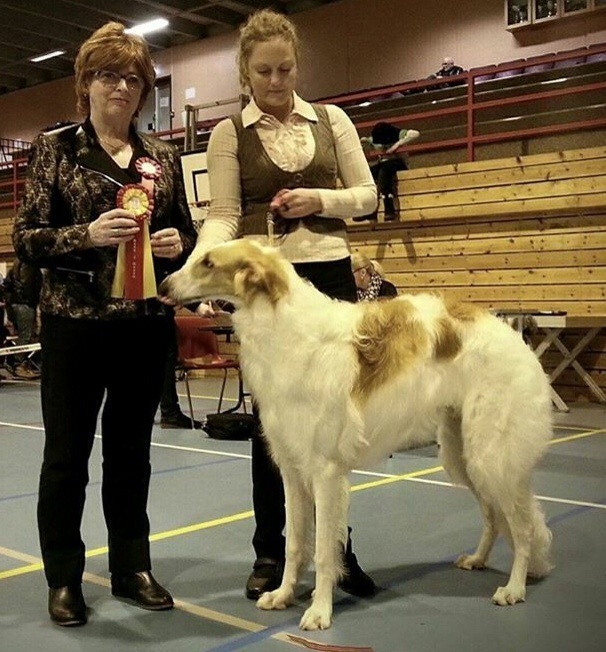 Celine is owned by Susanne Strøm. 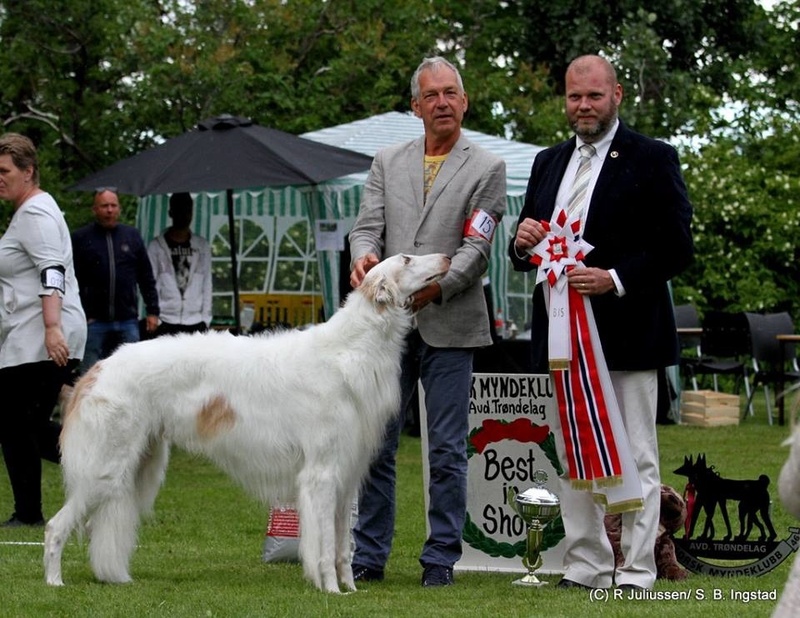 Knl Steppdance, N.
Great news from The Norwegian Sighthound Club today! 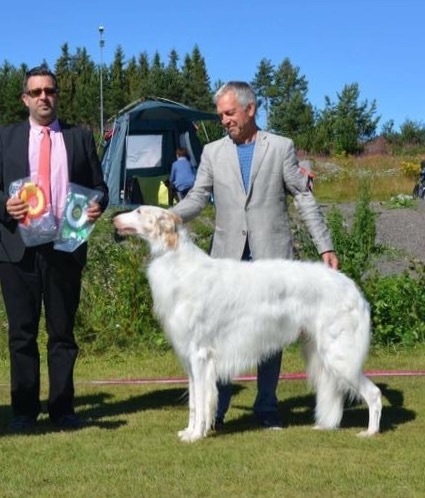 Ali (CH Kazar Ural) was No 6 Mostwinning Sighthound in Norway last year. 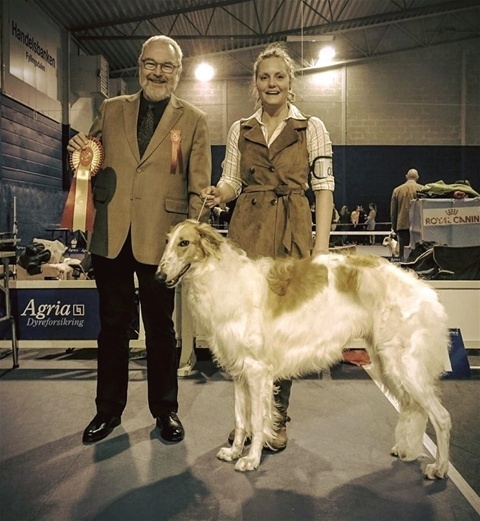 He was sparingly shown with only 5 counting entries in 2015, but had some pretty good results!